According to famous American writer Sydney Sheldon, “To be successful you need friends and to be very successful you need enemies.” But what if these enemies are your immediate or next door neighbors? Obviously one cannot flourish or prosper peacefully if your neighbor sees you as your enemy or vice versa. In other words one can only make his/her life miserable by having stinging relations with neighbors. A well built foreign policy is extremely significant in case of our neighboring countries. In international politics all nations have their own national interests, and there are no permanent enemies and friendships. Neighboring states can be a benefit or a nuisance, depending on the capability to identify one’s long-term interests for long lasting peace on its borders. This is how foreign, strategic and diplomatic polices are framed. At present Pakistan has stressed and hard relations with all its neighbors except China which is our all weather friend but it is never wise to put all eggs in one basket. Our neighboring countries are no doubt now more antagonistic than allies. Pakistan has had very coarse relations with Afghanistan whereas India has always benefited from very pleasant relations with Afghanistan. The week-long clash between Pakistan and Afghanistan at Torkham border brought to the fore entrenched issues that persist to curse relations between the two South Asian neighbors. Is this Indian well built foreign policy to cut off Pakistan regionally and globally or its America which is backing India in South Asian region to protect its own national interest and at the same time limiting mighty China influence? Or it is flimsy Pakistan’s strategic and foreign policies? Certainly, vigorous Indian policy to cut off Pakistan in the region seems tough and secure. 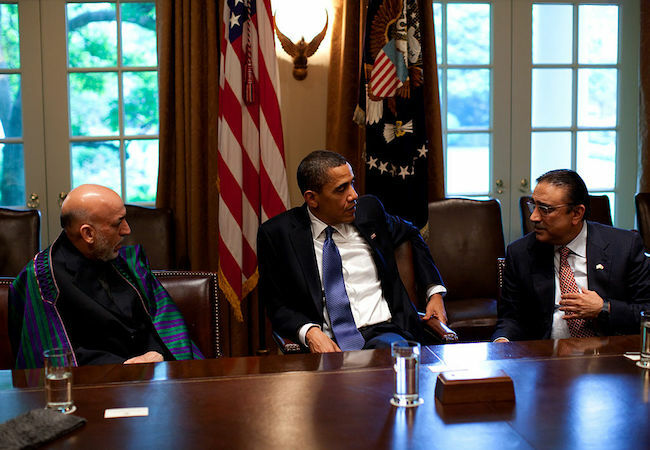 After 9/11 Afghanistan became valued friend to India, which directed it to run 24 consulates in Afghanistan, maintaining their indirect rivalry towards its hostile country Pakistan. India has been backing and sustaining Afghanistan in the fields of road and rail network, education, energy and the military since a decade. So Afghanistan will not allow any possible threats to India’s interests within its territory. The indo-US alliance and closeness of India and Afghanistan are complicating Pakistan’s quarrelsome western border areas. Pakistan’s foreign policy appears powerless of developing its relations with Iran and Afghanistan to minimize any possible threat to CPEC as well as CASA1000. The nexus between Afghanistan, India and Iran is a threat not in political as well as strategic perspective. Pakistan fragile economy was rejoicing on its mega projects like CPEC, TAPI and CASA1000. Their joint support to Afghanistan to safeguard India’s trade route to Central Asia posed a clear and unrelenting threat to CPEC. Islamabad’s decision to fit a gate at the Torkham against the will of the Afghan government could bring about major harmful cost. Then what are Pakistan’s future policy plans for TAPI and CASA1000 from Central Asia via Afghanistan’s region? Pakistan is hosting three million Afghan refugees including 1.5 million undocumented ones Now many of these Afghans are being used by CIA, RAW and Afghan Intelligence and are responsible for all the terrorist attacks inside Pakistan. Pakistan’s foreign policy needs a noticeable strategic shift for domestic and regional peace. Pakistan should be successful to utilize the shared cultural, linguistic, economic religious and ethnic realities of its western borders, but at the same a stabilized and firm policy should be adhered. It is about time to control the border and restrict these drug trafficking and terrorist movements. Because of poor policies, different terrorist networks have thrived in Pakistan. Voluntary and dignified return of Afghan refugees by creating pull factors inside Afghanistan. Also there is need to answer with secure strategic guidelines to secure Pakistan’s situation in the region and accomplish the above mentioned mega projects. Any imprudent steps in the region will push Pakistan back into a state of deterioration and isolation. India: A cold-blooded murder at Chennai railway station. Is Chennai unsafe for women?